Two posts in as many days? Surely it can’t be approaching another growing season! But yes, we say. We are very excited about the events that are coming your way and you should check us out in the coming months. 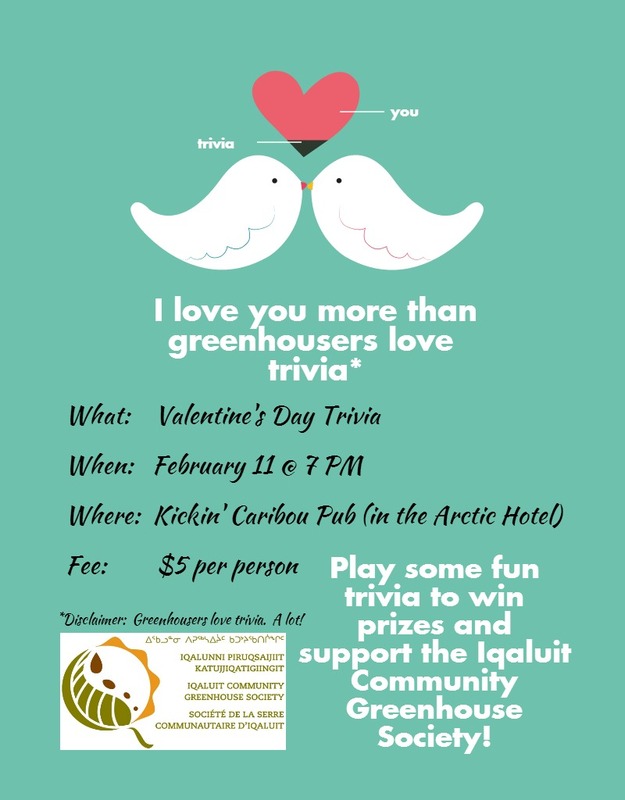 First, we are getting ready to welcome back trivia night at the Kickin’ Caribou Pub! With love in the air, questions will have a bit of romance with our Valentine’s Day theme. Come out and support the ICGS on Wednesday, February 11 at 7 PM for our first trivia night of 2015. It’s only $5 to enter and there are prizes to be won and fun to be had. We hope to see you there!